Car accidents and truck accidents are unfortunately common occurrences in and around the Boston metro area. While our Boston car accident attorneys encourage all motorists to practice safe driving to avoid car accidents, if you find yourself involved in a motor vehicle accident, there are steps you can take to minimize the unpleasant consequences and save time and money in the process. If you have been in a car or truck accident, contact the experienced Boston car accident lawyers at Bellotti Law Group, P.C. today at 617-225-2100. We have offices in Boston, Cambridge, and Quincy and serve all of Massachusetts and New England. We have successfully handled countless car accidents and will work with you to get your medical bills paid, lost wages recouped, compensation for pain and suffering, and restoration of your life. You can also use our contact form. We will respond promptly. Drivers not seriously injuries should attempt to move their car or truck out of the flow of traffic to avoid another collision. If the car cannot be moved, do not leave the vehicle, as you will be risking being struck by a passing motorist. Instead, keep your seat belt fastened, put on your hazards, and wait for authorities to arrive. The police may not respond to the scene and injuries may not be immediately apparent, but all drivers should file a Massachusetts crash report following an accident. This allows each driver to record his version of events and it often expedites the insurance claims process. However, never admit fault to the other party, insurance company, or the police immediately after the accident, even if you ultimately believe you may be at fault or innocently, casually, or nervously accept blame. It is the insurance companies' job to figure this out later. Knowing at least the basic coverage of your insurance policy, and more specifically, services that are not covered, can save you money on things that aren't absolutely necessary, like rental car costs and towing charges. If you find that your policy offers less coverage than you think necessary, a minimal increase in monthly payments can often bring much more comprehensive coverage (often, only a few extra dollars a month covers rental car costs and/or towing services). 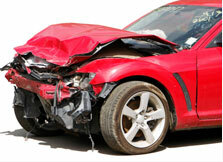 Many times, insurance companies will contact you seeking information following an accident. It is imperative to contact experienced motor vehicle attorneys before talking to any insurance agent. Instead, you are risking giving information, even inadvertently, that can seriously damage your claim. Instead, allow the car accident lawyers at Bellotti Law Group, P.C. to contact the insurance companies on your behalf, handling all correspondence in the appropriate way. If you have been injured in a car accident or truck accident, contact the experienced and successful Boston, Cambridge, and Quincy car accident attorneys at Bellotti Law Group, P.C. It is imperative to talk to an experienced Massachusetts car accident attorney at Bellotti Law Group, P.C. before speaking with either insurance company or accepting any settlement offers. Our Boston car accident lawyers meticulously review your medical treatment records and lost wages to help you recoup what your deserve. We will get your bills paid and your life in order, either through settlement negotiations or litigation in court. Contact the Massachusetts traffic accident attorneys at Bellotti Law Group, P.C. today.